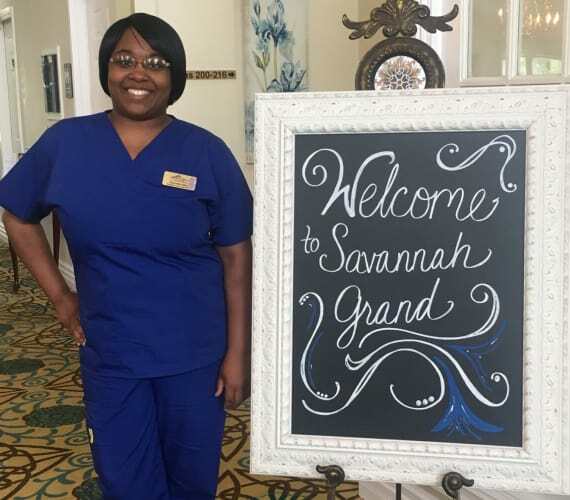 Spend your days making a positive impact in the lives of others at Savannah Grand of Bossier City. As a dedicated member of our senior care team, you can expect to enjoy personal fulfillment and endless opportunities to grow professionally, all while enjoying a diverse work atmosphere where respect and kindness come first. If you’re you ready to explore new opportunities in the dynamic and rewarding senior care field, explore our available positions today! Whether your ideal career path involves working directly with residents on the day-to-day, or you’re more interested in exploring the business side of things, you can trust that your contributions and efforts will always go toward making a positive difference in the lives of our residents. Your team and managers know how to encourage and support your professional aspirations in the senior care field. Explore different avenues of advancement and create a career path that works with your natural talents and skill sets. You can take advantage of on-the-job and in-service training opportunities to earn and maintain professional licenses in a variety of disciplines.